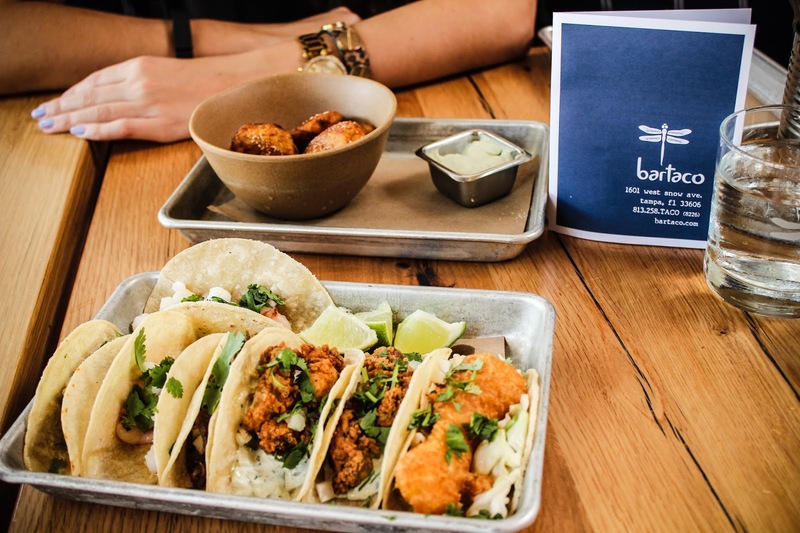 If you didn't already know, Bartaco Hyde Park is one of my FAVORITE places to eat. The tacos are perfectly sized and dangerously good! From fish to duck tacos, there's sure to be one on the menu that you'll fall in love with. I dare you to order a margarita, some salsa verde and plantains, too. Trust me when I say you'll be glad you did later. But, I've got some special news for all of you... Bartaco's addictive Crispy Avocado Taco is back just in time for National Taco Day! Needless to say where I'll be for dinner tonight (I've got a problem and I'm embracing it).This beauty was one of their #bartacosecret tacos previously, but it's now being added onto the menu until the next secret taco is revealed. Stay tuned for that! In the meantime, Bartaco has given me some exclusive info for you guys - the recipe to make this Crispy Avocado taco whenever your heart desires!! Pin, print, share this bad boy - you won't want to lose this recipe! Let's get cooking!